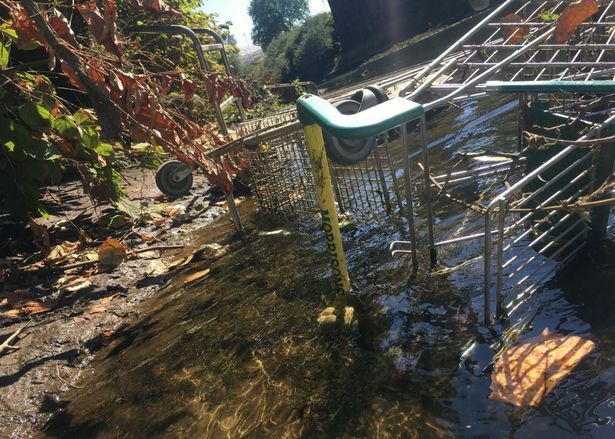 A woman has spoken of her horror after discovering a stretch of river near her home contains more than 70 supermarket trolleys. 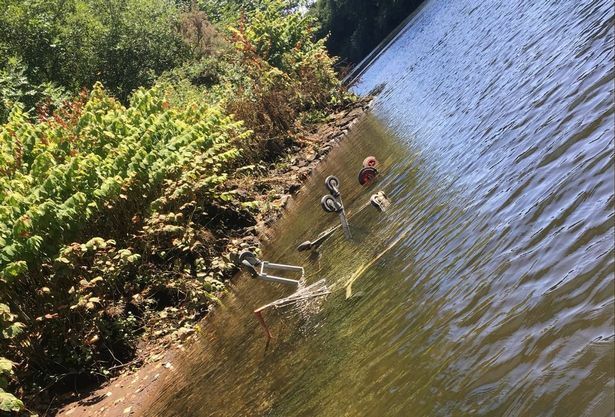 What was meant to be a pleasant day on the River Tawe in Swansea turned into something of a trolley splash for Hollie Cockings and her husband Benjamin, who had hoped to enjoy the local wildlife on Sunday afternoon. 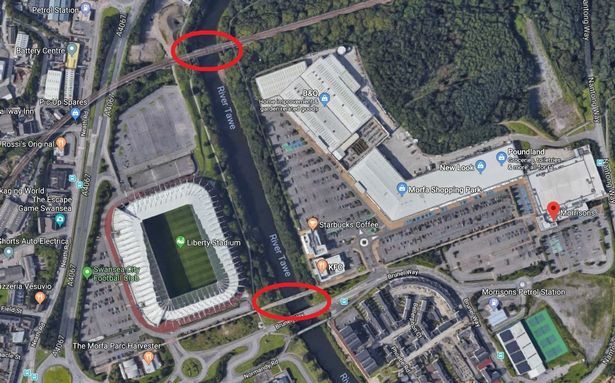 In a stretch of around 200 metres of the Tawe that runs along the Liberty Stadium, the couple counted 76 trolleys in total, and fear that there could be hundreds more along the river. “We live near the Marina in Swansea and my husband and I decided to do some paddle boarding on the river on Sunday,” said Mrs Cockings, a lecturer at Swansea University. “At first we noticed a few scattered around the place – some were obvious, others had been submerged and weren’t in plain sight. The stretch of water Mrs Cockings was paddle boarding on is in the Morfa area of Swansea. The river separates the Liberty Stadium and Morfa Shopping Park, which contains shops which house trolleys outside. Mrs Cockings says some of the trolleys have clearly been in the river for some time, and that action is needed, quickly. “Some of them looked new, as if they’d been thrown in recently, but some of the them were rusty so this has obviously been going on for a while,” she added. Mrs Cockings added: “We were just really shocked. There’s quite a lot of wildlife in the river – there’s fish in the water and we saw a seal there once. “This cannot be good for the environment. “It’s bad for tourism as well. That area itself is a lovely stretch of river. Thankfully, after the problem was highlighted on social media, is seems that something is going to be done. A company called Wanzl operates a service called Trolleywise, which specialise in the retrieval of trolleys from shops and retail car parks all across the UK. The company says: “Apart from the costly loss of asset, trolleys are often abandoned in roads, on walkways and in parks. “Many are dumped in local waterways, rivers and canals where they can cause harm to wildlife and the general environment. 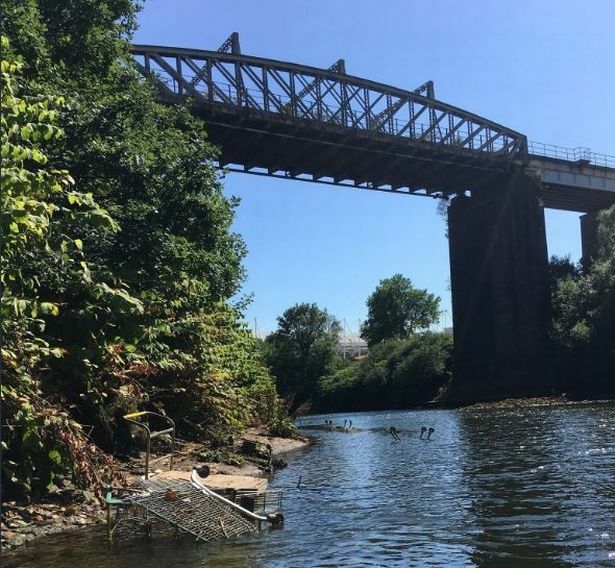 A spokeswoman for Trolleywise has confirmed that a team will be attending the site on the River Tawe on Thursday to carry out a “risk assessment” in the area before the trolleys themselves will be removed. “It was such a shock to see so many of them in quite a small spot,” said Mrs Cockings. Such clearance will be very very welcome. The Friends of White Rock have cleared a number of trolleys old and new further down over the last year, but a wholesale trolley removal as is contemplated here will be a great boost.